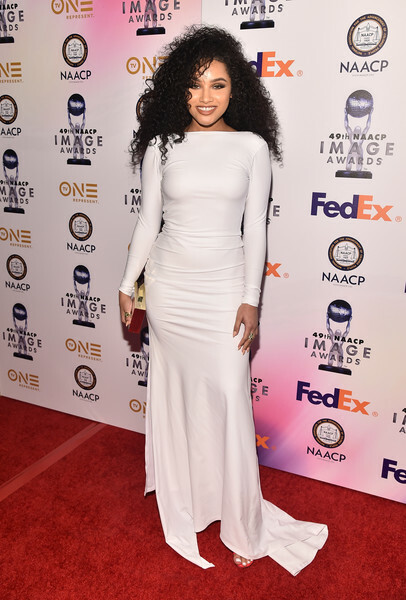 Article: “Free Rein” Star Jaylen Barron Looked So Gorgeous At The 49th Annual NAACP Image Awards Dinner! The wonderful Jaylen Barron looked so beautiful wearing a When Freddie Met Lilly dress, YSL shoes and Lace by Tanaya jewelry. Her fabulous hair was done by Bianca Simmons-Hale and her flawless makeup was done by Alexander Echeverri. Check out more photos below of the terrific Jaylen Barron at the 49th Annual NAACP Image Awards Dinner. I’m glad Jaylen had an excellent time at the event! Previous Article: Tune In To “The Goldbergs: 1990-SOMETHING” Special Airing January 24th On ABC! Next VIPAccessEXCLUSIVE: Sean Cavaliere Interview With Alexisjoyvipaccess At Chandler Kinney’s Gift-wrapping Event!